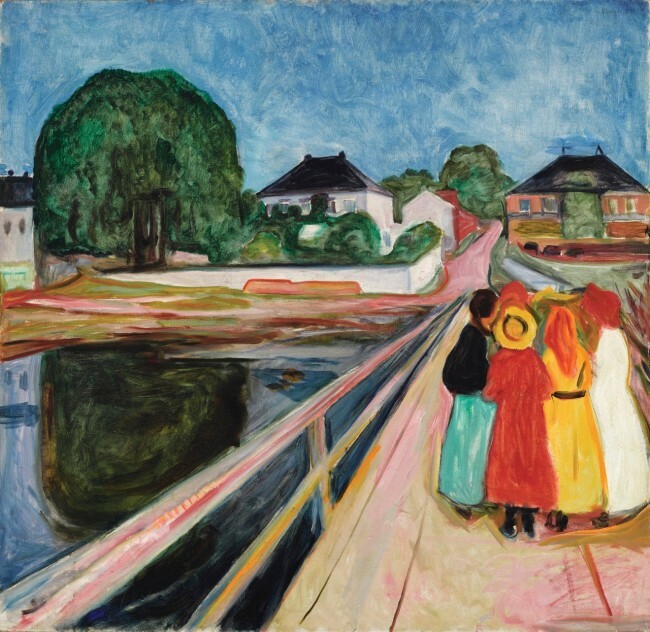 Edvard Munch’s “Girls on the Bridge” sold for $54.5 million in New York on Monday, the second-highest auction price paid for a work by the Norwegian painter, Sotheby’s said. The 1902 painting depicting women in colorful dresses that contrast with a dark, anguished landscape, fetched a price solidly higher than the auction house’s estimate of above $50 million. The painting has broken records every time it has gone under the hammer. It went for $30.8 million in 2008, compared with $7.7 million in 1997. The Norwegian artist’s most famous work, “The Scream,” was his most expensive work of art to sell at auction, at $119.9 million in 2012. “Girls” is one of the star paintings at Sotheby’s Impressionist and Modern Art Day Sale. The autumn art auctions organized by Sotheby’s and rival Christie’s are set to continue through the week. At Sotheby’s, the spotlight returns to a long-running series of Pablo Picasso paintings titled “Painter and His Model.” This particular 1963 painting by the Spanish artist sold Monday for $12.9 million. It had been estimated between $12 million and $18 million. This first auction of the week, which drew more than 600 collectors or buyers from around the world by phone or in person, notched up about $151.9 million in sales in paintings and sculptures. Among the other works to go on the auction block this week is Claude Monet’s “Meul,” part of a series of haystacks the French artist painted during the winter of 1890-1891. Christie’s has estimated it will sell at $45 million.